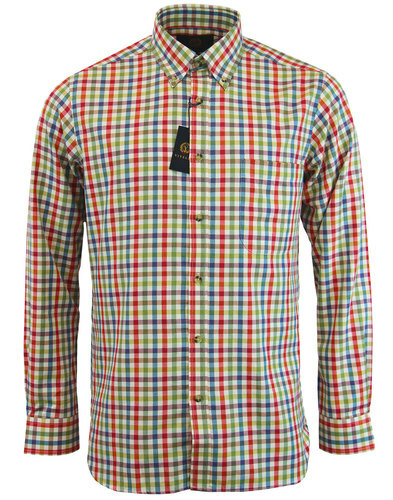 B D Baggies 'Dexter' Retro Mod button down herringbone gingham shirt. 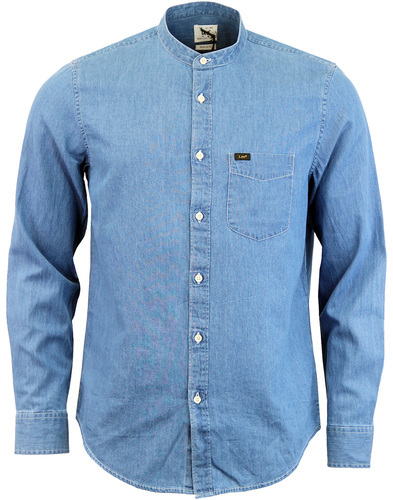 An American Tradition, since 1986, B D Baggies are pioneers of the soft washed shirt look. Known for their softness with the pre-laundered comfortable look Whilst at it's heart, the B D Baggies look is very all-American, there's also a hint of British Mod tailoring and that classic Italian finish. 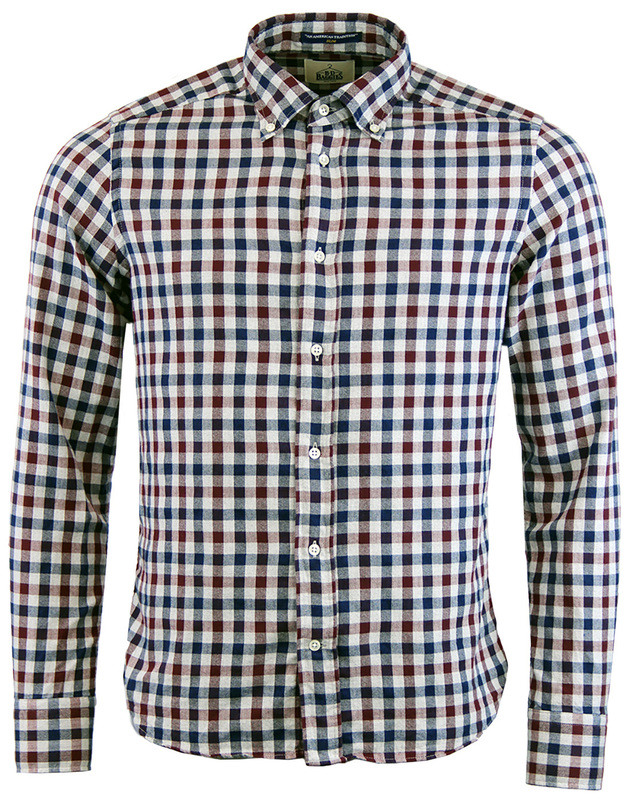 The classic gingham check design With stunning Herringbone detail adds an extra Sixties Twist. 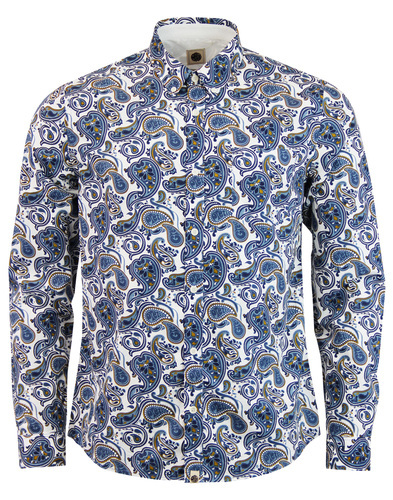 Brimming with Ivy League vibes this shirt would look for great for any occasion! 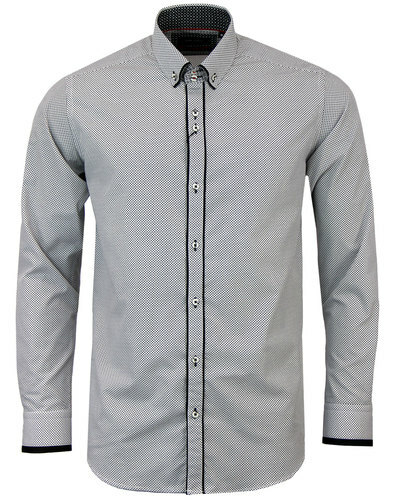 - B D Baggies Dexter herringbone Gingham shirt. - Navy, port and Grey Gingham check with a subtle herringbone pattern. - Button down Mod collar. - Neat button sequence to placket. - SKU: B26032 Gingham Shirt. Care: Machine wash. Please refer to garment label for full care information. B D Baggies Slim Fit Cut.